KUALA LUMPUR (Dec 22): After a string of major corporate exercises to unlock value this year, Permodalan Nasional Bhd (PNB) is looking at improving fundamental performance to drive returns from its major companies in 2018, according to group chairman Tan Sri Abdul Wahid Omar during PNB’s fourth-quarter media briefing today. With most of the restructuring exercises done or nearing completion, the spotlight will soon swivel to how the companies under PNB, the country's largest fund manager, perform post-restructuring. While the exercises were deemed to have unlocked value, which spurred market-beating returns for PNB this year, the question is whether the returns can be sustained in the coming years, after the excitement dies down. “Now that they have the right structure, the boards and the management can focus on their core businesses and get better allocation of capital,” Abdul Wahid said. “With the transparency of performance, we believe they can improve their fundamental performance. “At the end of the day, it is about (the strategic companies) immediately growing their earnings, and with higher earnings, they can pay higher dividends (which leads to) higher share prices. So, the focus is on fundamental performance for 2018 onwards,” Abdul Wahid added. The past year has seen conglomerate Sime Darby Bhd carving out its plantation and property businesses to list them as separate entities — Sime Darby Plantation and Sime Darby Property — beginning Nov 30. That follows the demerger of UMW Oil and Gas Bhd (UMW-OG) from conglomerate UMW Holdings Bhd via a transfer of UMW’s shareholding in UMW-OG to UMW’s own shareholders. This was completed in July. A similar demerger is in progress in terms of Chemical Company of Malaysia Bhd and its listed subsidiary CCM Duopharma Biotech Bhd, which is slated for completion on Dec 30, according to PNB. On the property front, PNB completed the injection of its privately-held property developer I&P Group Bhd into listed SP Setia Group Bhd on Dec 1, for RM3.65 billion cash. This creates the third-largest Malaysian developer by landbank at roughly 10,000 acres, behind UEM Sunrise Bhd (about 13,000 acres) and Sime Darby Property Bhd (20,763 acres). 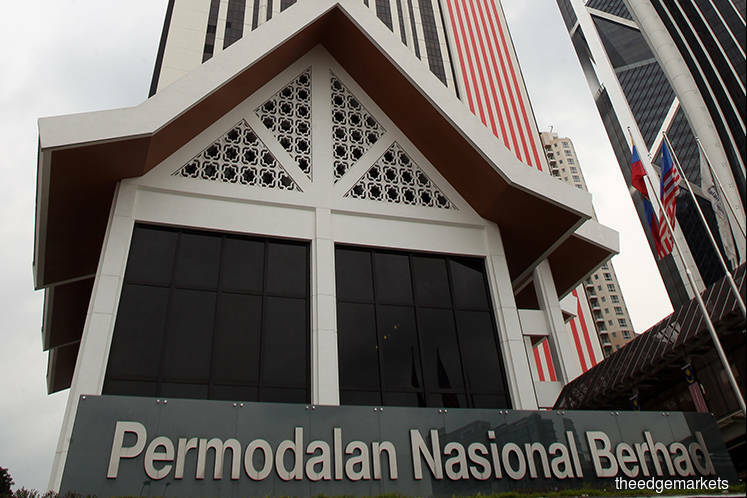 Separately, on July 31, PNB's wholly-owned property arm PNB Development Sdn Bhd completed the purchase of the 40% it did not own in Seriemas Development Sdn Bhd from Sime Darby Bhd for RM625 million. PNB Development will spearhead PNB’s land banking exercise, going forward, with 9,697 acres of land currently owned, PNB said. “What we’ve done in 2017 had been to address some structural issues. For some of the companies, we felt they are better off being demerged into pure-plays. At the same time, we also believe in strengthening some of the core businesses as well,” Abdul Wahid said on the slew of corporate exercises. As the corporate exercises unfolded, PNB strategic companies had outperformed the local stock market this year. For example, the collective market value of the three Sime Darby counters is now over RM60.53 billion, nearly 10% higher than the original conglomerate’s RM55.09 billion market capitalisation in December 2016. In the case of SP Setia, its total shareholders' return (TSR) year-to-date is at 21.2% for the past one-year period, according to PNB chief executive officer Datuk Abdul Rahman Ahmad. He said the corresponding TSR in the past couple of years were 5.4% (2016) and 0.2% (2015). Overall, the collective performance of PNB’s strategic companies is twice that of the benchmark FBMKLCI Index, Abdul Rahman said. At the end of trading hours today, the FBMKLCI stood at 1,760.24 points, up 7.22% year-to-date. That had contributed to stronger performance for PNB in 2017, the duo’s first full year at the helm. As at Nov 30, PNB’s net income grew 7.1% y-o-y to RM15.4 billion. It declared a total income distribution of 8.25 sen for its unitholders, or a total of RM10.7 billion. That pay-out comprises 7 sen per unit plus 0.25 sen in bonus dividend out of PNB’s proprietary funds. Another 1 sen will be paid as a special bonus to mark PNB’s 40th anniversary next year, although this anniversary dividend will only be paid for the first 10,000 units held by every unitholder. The corporate restructuring drive was sparked by PNB’s six-year STRIVE-15 plan up to 2020, which aims to enhance corporate returns from PNB’s stable of companies sustainably. The plan was rolled out by Abdul Wahid and Abdul Rahman in November 2016, after they took charge of PNB. It was PNB’s first leadership change in two decades. The plan defines strategic companies, as those where PNB holds majority shareholding. The next layer is its core companies, whereby PNB has 10% or RM1 billion in shareholding value. PNB now has nine strategic companies: Maybank, SP Setia, the Sime Darby companies, UMW companies, reinsurer MNRB Holdings Bhd and Chemical Company of Malaysia Bhd. The Chemical Company of Malaysia demerger will create a tenth. In August, Abdul Wahid told The Edge that PNB will move on to enhance its core companies in collaboration with other shareholders, after the strategic companies’ restructuring is completed. The Malaysian market is the mainstay of PNB’s investments, as over 98% of its asset allocation remains in Malaysia. As at Nov 2017, its asset under management (AUM) has grown 4.6% y-o-y to RM276.5 billion. That pace puts PNB “on track” to hitting its 2020 target of RM350 billion in AUM, Abdul Rahman said today. As at Nov 2017, its investments are 70.8% in equities (from 69.9% a year ago); 5.6% in fixed income (Nov 2016: 3.9%); 3.4% in real property (versus 3.3% in Nov 2016); and 2% in private equity (2.6% in Nov 2016). Its cash holdings as of last month made up 17.9% of its assets, a reduction from 19.8% a year ago, as PNB sought to hold less cash and redeploy them into investments.